In the four seasons since Tobias Enstrom made the jump to the NHL, he has only missed ten games. Showing such durability and consistent play has given Enstorm a lot of attention as one of the brightest young stars in the Jets lineup. His iron man streak ended last season and cost him a trip to the NHL All-Star Game as he missed ten games last season due to a broken finger. Despite his injury last season, he still managed to score career highs in goals (10) and points (51). 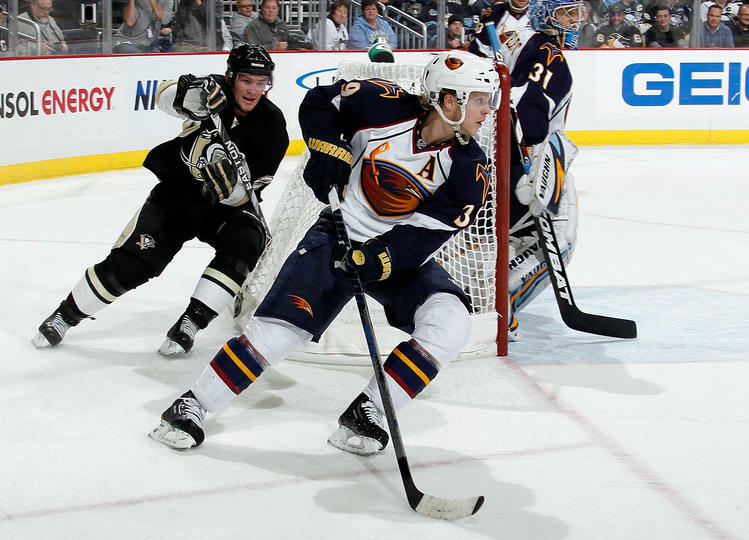 In 318 NHL career games with Atlanta, Enstrom has 26 goals and 145 assists for 171 points along with 178 penalty minutes. Before his NHL career, Enstrom was an offensive minded defenseman for Modo of the Swedish Elite League starting in 2002-03. He played five seasons with Modo, with his last season being in 2006-07, where he posted a career best in Sweden, scoring 28 points in 54 games as well as 12 points in 20 playoff games as Modo won the SEL championship. 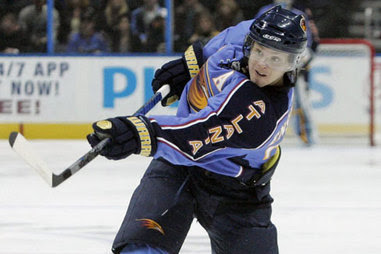 Enstrom was originally the Thrashers eighth round pick in 2003. He made the team right out of camp in 2007-08 after signing a two-year deal in May 2007. He currently holds franchise records for most points by a defenseman, surprassing Yannick Tremblay, who had the record at 108 points. He also holds the record for most assists by a defenseman in a season (44) and the record for most games played in a row (296), surpassing Slava Kozlov. Enstrom will be a big part of the Jets blueline, not only for his consistency and health, but for his point production and his puck savvy. He has a knack for making plays happen and being the playmaker from the blueline as evidenced by his 145 assists in 318 games in the NHL. Along with Byfuglien last season, Enstrom reached career highs in goals and points, and both of them were named to the All-Star Game. The Jets will look for an encore performance from Enstrom and possibly an even better season as the 26 year-old looks to mature even more in a hockey mad city.